Re-election in September will lumber Chancellor Angela Merkel with the challenge of managing a crisis that is looming in the auto sector. The fight for clean air in cities could accelerate the shift to electric vehicles and jeopardise up to a tenth of Germany’s industrial jobs. German Chancellor Angela Merkel, top candidate of the Christian Democratic Union Party (CDU), waves following her rally ahead of the upcoming federal election, in Koblenz, Germany August 16, 2017. 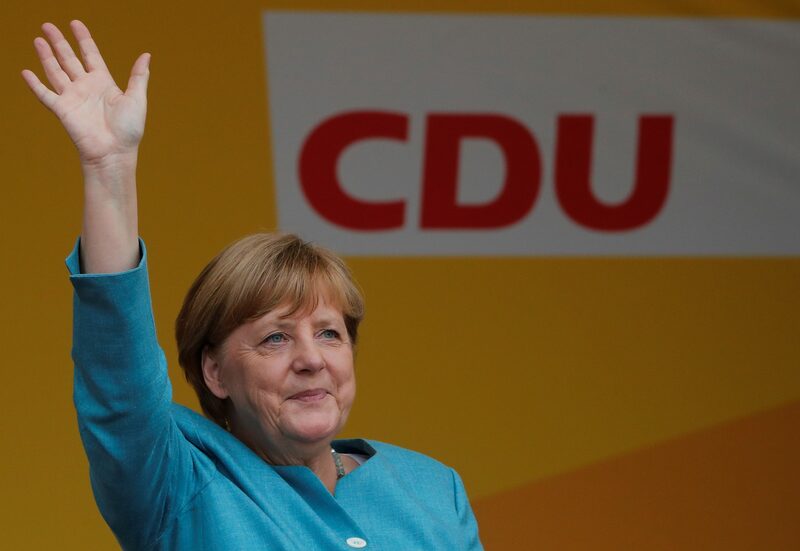 An opinion poll by research company Forschungsgruppe Wahlen, published on Aug. 25, put support for Angela Merkel’s CDU/CSU at 39 percent. The Social Democrats, who are part of the ruling “grand coalition”, scored 22 percent, while the Free Democratic Party, the Left Party and Alternative for Germany scored 9 percent each. The Greens were supported by 8 percent of the voters.